Brian Carson offer quality building services. 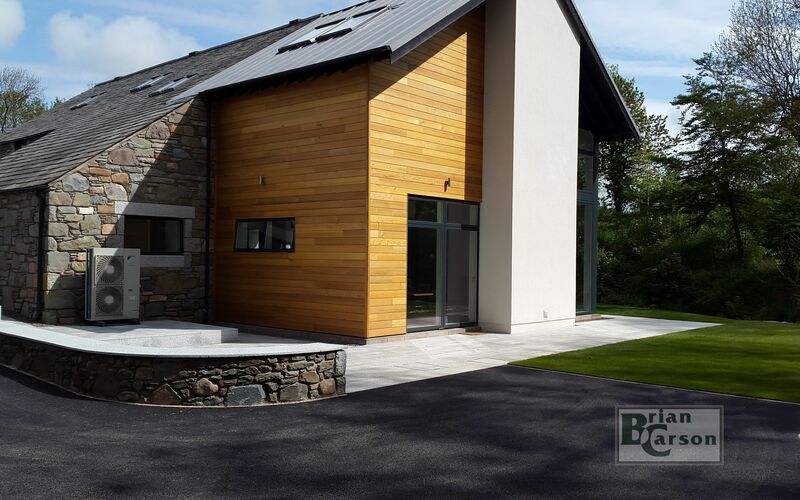 Brian Carson Building Contractors Limited of Palnackie, near Castle Douglas, offer a full range of building, plumbing and electrical services throughout Dumfries and Galloway, the Scottish Borders, Ayrshire, Cumbria and Glasgow areas. We have established a solid reputation for the quality of our work whether it's a new build, barn conversion, new kitchen or bathroom or the installation of a septic tank. We also offer roofing services and contract electrical work and plumbing. To us, every customer is important, no matter how large or small the job. We work hard to maintain our reputation for reliability and the quality of our work at all times. Call us today on 01556 600101 for a free estimate or email us. Brian Carson Building Contractors offer a range of building and property maintenance services including roofing, joinery, plumbing, painting, electrical, tiling and fitting replacement doors and windows as well as new kitchens and bathrooms. We cover Dumfries and Galloway, Ayrshire, Cumbria and the greater Glasgow area.